In the next decade, the United States will have to make decisions that will shape its nuclear arsenal for much of the next century. Nearly every missile, submarine, aircraft, and warhead in the U.S. arsenal is nearing the end of its service life and must be replaced. As Congress and the Obama administration continue to wrestle with the effects of sequestration on projected levels of defense spending, the U.S. Department of Defense has begun a series of procurement programs that will nearly double the amount the country spends on its nuclear deterrent in the next decade compared to what it spent in the past decade. Over the next 30 years, the cost of the nuclear deterrent could pass $1 trillion and crowd out defense and domestic investments needed to keep the United States strong and competitive. In addition, it could undermine U.S. credibility on the issue of nuclear proliferation—especially when it comes to dealing with regimes such as Russia, China, and North Korea. It is no accident that so many modernization programs must begin in this decade. The United States, like Russia, modernizes its nuclear arsenal in cycles. 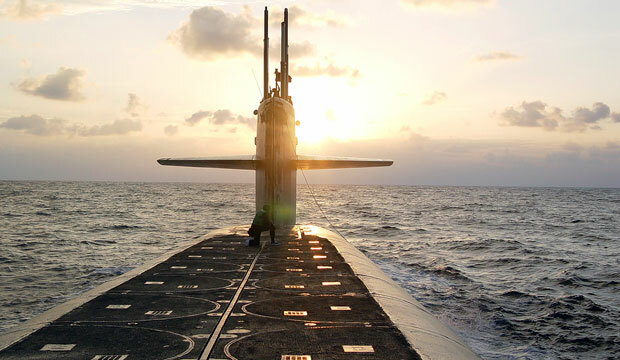 The current U.S. nuclear arsenal entered service in the 1980s when President Ronald Reagan dramatically expanded the funding devoted to nuclear weapons. That decade saw the Department of Defense field the B-1 and B-2 bombers; the Peacekeeper Intercontinental Ballistic Missile, or ICBM; and the Ohio-class ballistic missile submarines, or SSBN. With the benefit of hindsight, it is now known that this modernization cycle was highly inefficient: in the years that followed, political, budgetary, and strategic events would modify the U.S. arsenal from its intended shape. Initial plans to deploy 244 B-1A bombers were reduced to 100 B-1B bombers, which were removed from the nuclear mission in 1993; the expected purchase of 132 B-2 bombers was first cut to 75 and then to 21; and 24 planned Ohio-class submarines were cut to 18, four of which were subsequently converted to a conventional role. Now, some 30 years later, these weapons systems are nearing retirement and must be replaced. This new modernization cycle represents a major challenge for the United States, as well as an opportunity to ensure that the arsenal is the right size and shape to meet national security needs in a cost-effective manner. There is little reason to hope that the current modernization cycle will be easier than the last. In Congress, budgetary politics have become even more difficult. The Budget Control Act of 2011 has severely constrained federal spending, including projected levels of defense spending. At the same time, each of the military services is undergoing contentious and costly modernization of conventional weapons systems. Treasured priorities, including Ford-class aircraft carriers; Virginia-class attack submarines; a large and diverse surface fleet; the F-35 multirole aircraft; and Army readiness could all be affected by the current plans to modernize the nuclear arsenal. If history is any guide, modernizing the nuclear arsenal will be a difficult endeavor. Congress is unlikely to appropriate funding for full modernization plans. Frank Kendall, the Pentagon’s acquisitions chief, admitted to reporters in early 2015 that the plans are likely “a fantasy, that what we’re going to end up with is nowhere near what we requested.” To ensure that the nuclear force can continue to serve the next president’s strategic guidance, the executive branch should review nuclear spending and put in place an affordable plan for the coming decades. If it does not, the shape of the next nuclear arsenal will likely be set by the vagaries of congressional politics as they seek to curtail whichever programs happen to face cost overruns. Collectively, these changes could save roughly $120 billion over the next 30 years. These savings would increase the likelihood that the services will have the consistent funding necessary to efficiently modernize the nuclear force and would lower the risk they will have to quickly accommodate shocks to the nuclear force structure on short notice. This plan preserves the overall structure of the nuclear triad of bombers, land-based missiles, and sea-based missiles while remaining at the warhead ceiling allowed by the New Strategic Arms Reduction Treaty, or New START. These changes would not reduce either the number or types of targets that the United States could hold at risk nor the yield or speed with which it could strike these targets. However, the plan does decrease the number of ways that the services could strike the same target. It may also marginally diminish the survivability of some warheads under certain contingencies. In the authors’ judgment, the benefits of maintaining this redundancy simply do not justify its costs when measured against other military and domestic priorities. Before leaving office, the Obama administration can take three steps to ensure that his successor has the information and flexibility necessary to make these needed changes. First, the president should cancel two programs: an effort to consolidate variants of the B61 gravity bomb—a lower-yield nuclear weapon dropped from fighter aircraft—as well as a program to produce a new cruise missile launched from a bomber that is able to maneuver to its target. Second, the president should revise deterrence requirements that currently constrain modernization plans. Third, the White House should order the Pentagon to generate analysis in order to inform the next Nuclear Posture Review regarding options to limit the modernization plans. When the new presidential administration takes office in January 2017, it should implement these changes to the nuclear force structure and seriously consider two additional steps: a further reduction of the submarine force from 10 subs to 8 subs, as well as a delay of the Long-Range Strike Bomber program. Taking these steps will not only save at least $120 billion, which will allow the Pentagon to fund more critical priorities, but will also permit President Barack Obama’s successor to have the flexibility to make even more reductions to the U.S. nuclear arsenal without undermining nuclear deterrence. Lawrence J. Korb is a Senior Fellow at the Center for American Progress. Adam Mount is a Senior Fellow at the Center.